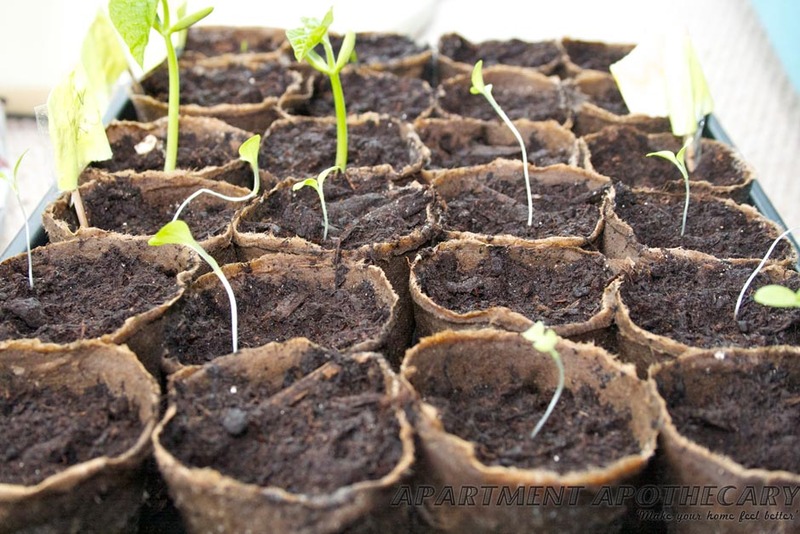 The seeds that I planted some weeks ago (see my Sowing the Seed post) are now coming up and it’s time to put some in bigger pots and others can be planted out now it seems the weather has improved. 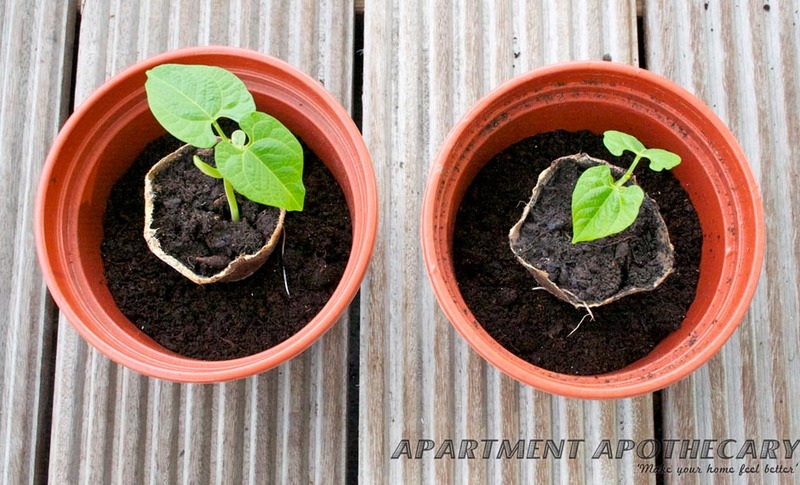 When the seeds start to sprout it is important that you leave them inside to become strong but they will need to be put in bigger pots otherwise their roots will not have space to develop. You can tell when shoots need to go into bigger pots by looking at the roots. If they have started to show they need more space to grow. 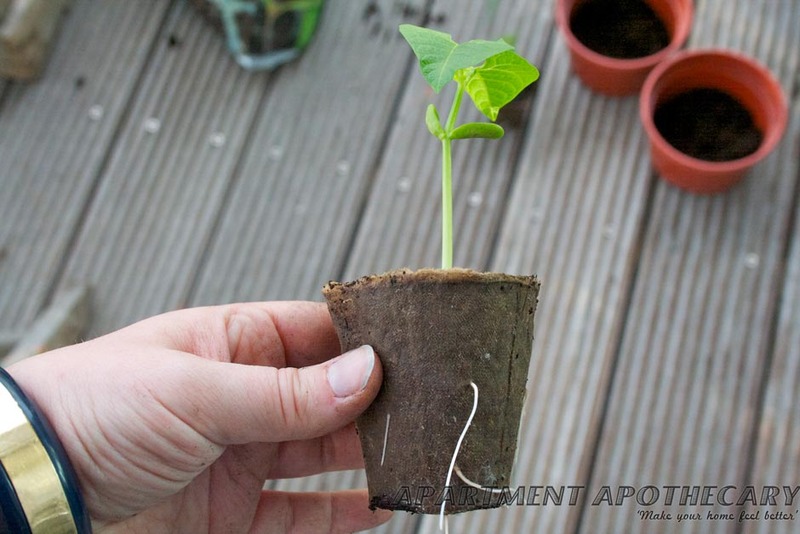 These French bean shoots can be put straight into bigger pots as the paper pots decompose. 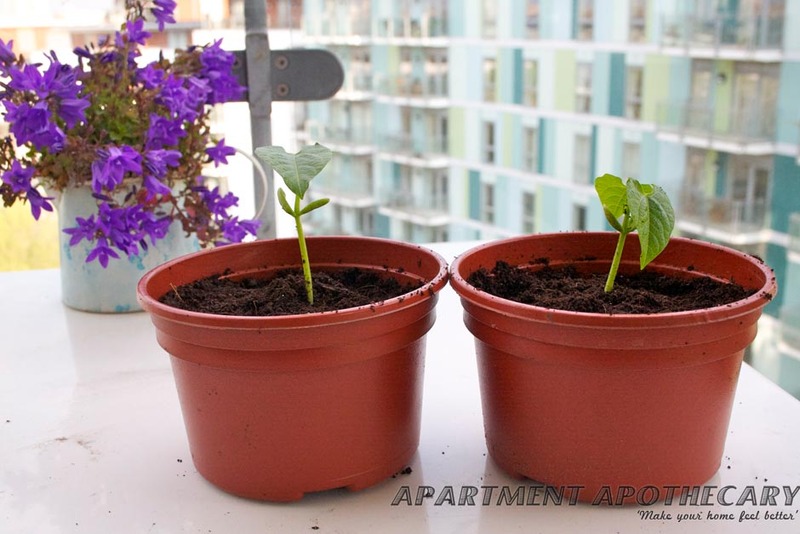 French beans will need to be kept inside until they start growing up as they are not strong enough yet to cope with the weather, especially strong winds. 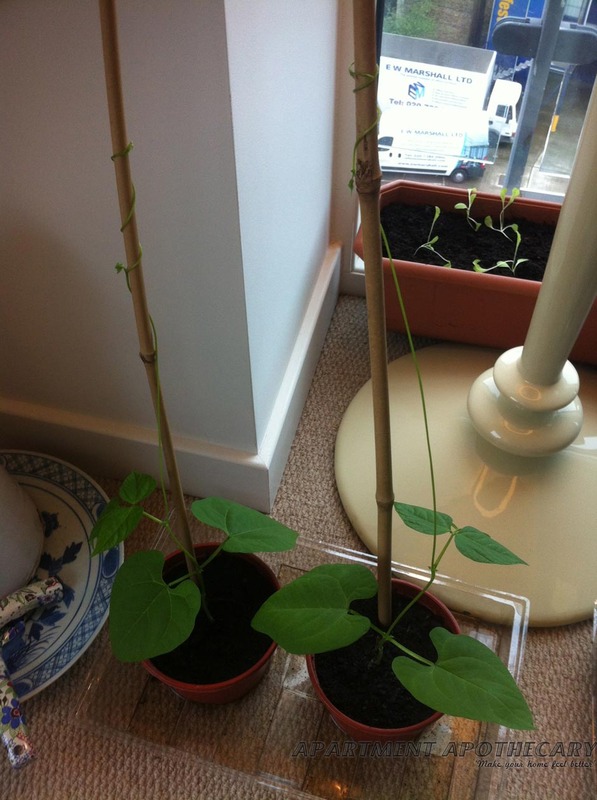 The French beans need canes to grow up. 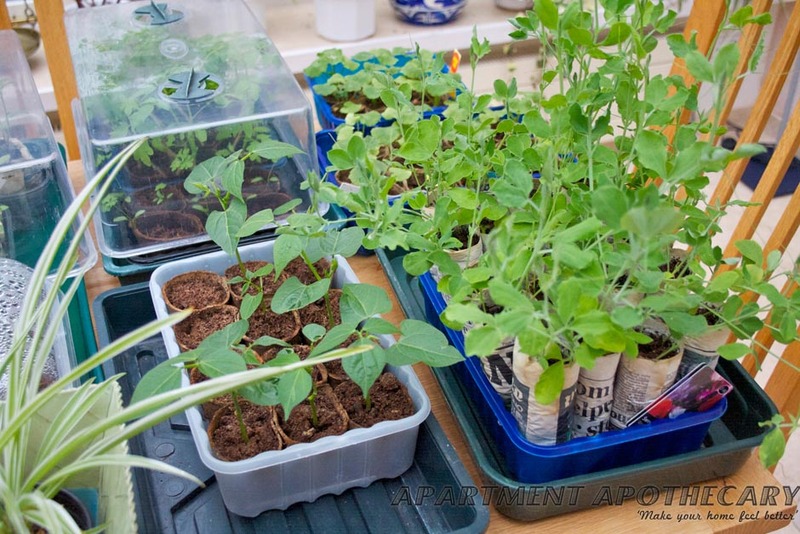 Sweet pea shoots can be planted out now as they are very tenacious. 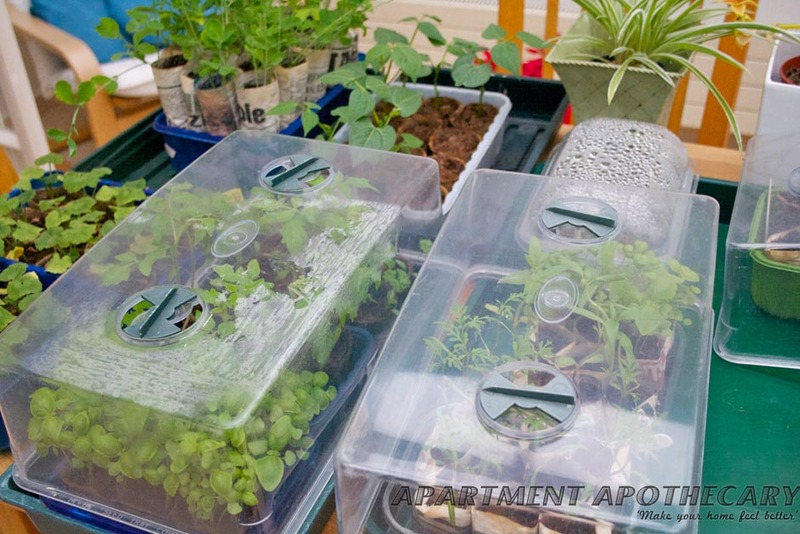 Check on the seed packet for how long each type of plant needs to be kept inside. 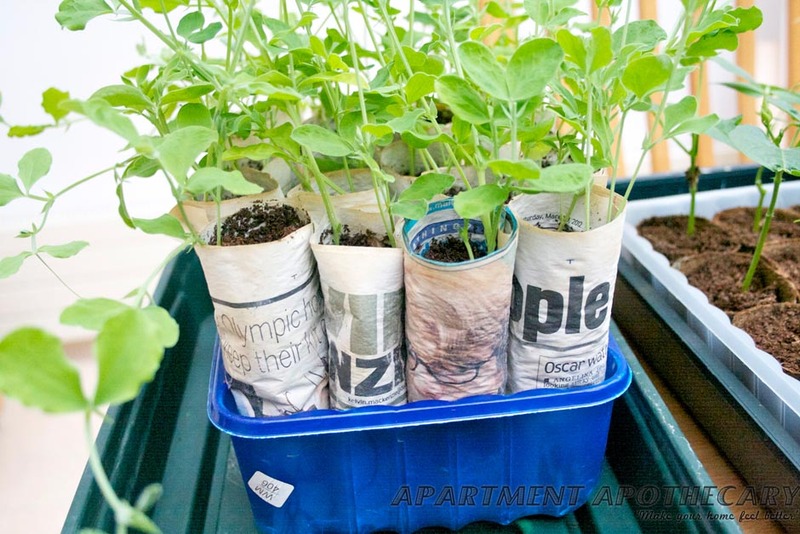 Plants like basil will do best if you keep them inside and don’t plant them out. I’m so glad my hard work has paid off so far. Who knew gardening could be so rewarding? I hope my herbs do as well as yours! But I just wish I had planted the sweet peas – next year!